Amsterdam's Persian Voice Turns One! On September 11, 2006, Radio Zamaneh was officially launched as a Persian speaking radio station in the <?xml:namespace prefix = st1 ns = "urn:schemas-microsoft-com:office:smarttags" />Netherlands. Belonging to a generation of multimedia and digital radio, and promoting the concept of 'citizen journalism', this radio station operates on the basis of decentralized production. In the past year it has assimilated 150 Persians (Iranians) in its network of producers and writers, who produce programs essentially through home digital recording. The budget for this radio station, which is transmitted through shortwave, the Internet, and satellite all over the globe, is provided by the non-governmental organization Press Now, following a bill presented in the Dutch Parliament to aid independent Persian media. With the efforts of the Iranian-born Dutch MP, Farah Karimi, this bill was approved in 2004. The director of the radio station is Mehdi Jami, whose experience includes over a decade of professional journalism in international Persian media. Radio Zamaneh has employed its staff from Iran and from among Iranian journalists, intellectuals, and writers residing in thirty cities around the world. Radio Zamaneh's website has grown rapidly, and demonstrated its responsiveness to the needs of its audience. Since September 2006 through the following December, the number of pages read in the site increased each month and reached 1 million pages in December, while in the first six months of 2007 this figure increased four times, reaching 4 million pages by July. Radio Zamaneh's programs, with a target audience of a generation who are under 30 years of age in Iran (Persia), entails news, interviews, political and social analyses, as well as philosophical, literary, and artistic discussions appropriate for a young audience. At present, the programs are broadcast daily from 18:00 hrs to 21:00 hrs, Central European Time, which is 20:30 to 22:30 hrs, Tehran Time. In a period of 24 hours, the programs are repeated three times. Persian media within Iran are generally controlled by the government, while Persian media outside of Iran usually follow the policies of their respective governments. Radio Zamaneh is among only a few Persian media which are supported by a state budget, but are independent in their policies. 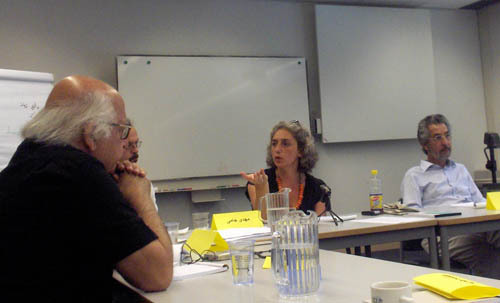 In July 2006, upon inviting a group of 30 Iranian journalists and bloggers from various countries to a workshop, Zamaneh outlined its media policy. In the restricted circumstances of media activity in Iran, numerous journalists, activists and intellectuals have resorted to weblogs for expressing themselves. The Persian language is among the top ten languages used in blogging. Radio Zamaneh's journalists are often bloggers themselves while they consider bloggers to be citizen journalists. They have extended relations with the Persian blogging network, and thus Zamaneh has become known as "The Weblog Radio." Zamaneh reflects ideas which had no voice before. Inspired by weblog in its interactive relationship with the audience, Zamaneh has attempted to create a new atmosphere in Persian media, generating a bilateral, participatory radio. Considering itself a tribune for people who had none before, Zamaneh has succeeded in airing the voices of many Persian writers and intellectuals to an interested audience. For the first time, these writers who had no access to the state media have been able to read their works through Radio Zamaneh. According to their recommendations and feedback, Zamaneh has arranged a free competition in story-writing for the youth, and has posted the stories, free of censorship, on Zamaneh's website. The competition is supervised by a prominent Persian writer in exile, Abbas Maroufi, who resides in Berlin – a writer whose literary magazine was shut down by the Iran's government in 1996 following which before being jailed, he fled the country. In the past 12 months, Zamaneh has been a visible and courageous defender of the rights of women, intellectuals, students, and laborers; it has attempted to reflect the general predicaments of citizens in major Iranian cities; that is, the same people who are the main audience of the radio station. 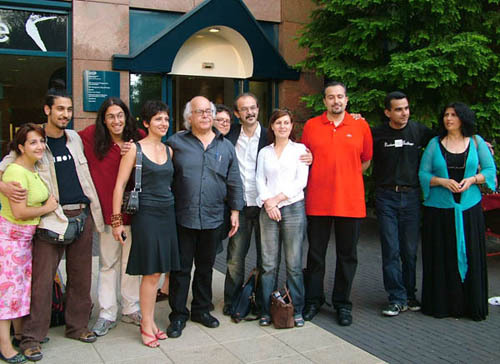 At present, Radio Zamaneh is known as an independent and critical medium with a cultural and social viewpoint, which pays special attention to fundamental issues in democracy and human rights – a medium which aims to educate people in democratic solutions while creating its own democratic model in media management.